How Much Does a Flight Paramedic Make Per Year? A flight paramedic provides first-line medical care while transporting patients via airlift to hospitals. The flight paramedic salary is the highest in Canada at about C$112,500, or $83,557 USD, per year, compared to $58,120 in the US. After converting incomes to the US dollar, pay is similar in UK (£45,197 or $47,674 USD), Australia (AU$82,922 or $44,317 USD) and New Zealand (NZ$72,000 or $42,079 USD). The lowest salary is in India at Rs219,399 or $ 3,189 USD. Salaries for flight paramedics vary with geographic region and professional experience as outlined in this guide. Meanwhile, you can also check out our guides to the paramedic salary and to the average EMT salary. Salary ranges are influenced by geographic region and professional experience with a country-by-country breakdown provided in this guide. With varying salary ranges worldwide, the factors that impact pay are geographic region and professional experience. Further details on salary ranges worldwide are provided. According to payscale.com, an entry level flight paramedic can expect to earn about $36,500 per year, increasing to nearly $80,000 with experience. The US Bureau of Labor Statistics does not specify salaries for flight paramedics, but does provide information on the paramedics profession as a whole. According to the BLS, paramedics earn a median yearly income of $31,980, suggesting that flight paramedics may earn higher wages due to the work setting. Flight paramedics in Canada earn more than $100,000 per year; however, pay is dependent on experience and the province in which they work. According to paramedictrainingspot.com, there are three levels of paramedics: primary care, advanced care and critical care. 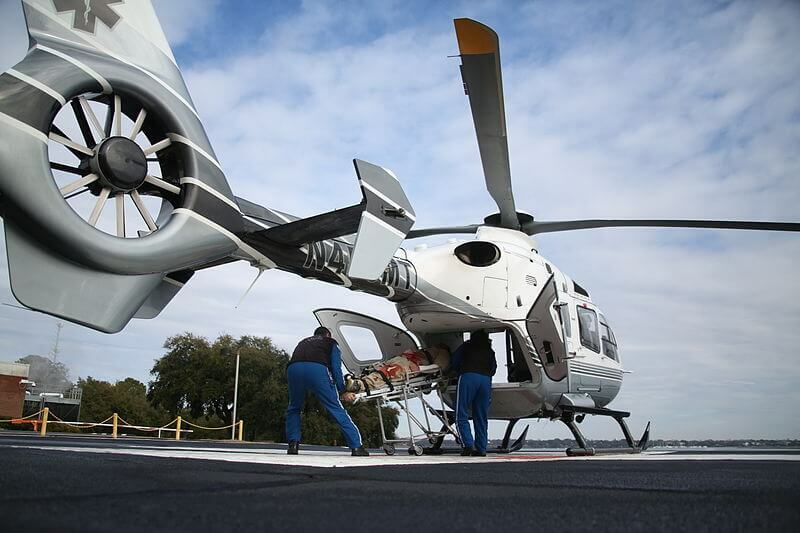 While some advanced care paramedics may work in a flight setting, critical care paramedics have the expertise to treat patients at the critical and intensive care levels that typically come with air flight transfers. Experience is required at the primary care level before meeting qualifications for advanced care, and then must work at the advanced care level before proceeding to the critical care level. As a primary care paramedic, salaries range from C$70,000 to C$90,000 per year and increase to C$90,000 to $100,000 annually at the advanced care level. Critical care paramedics earn the highest salaries, making between C$100,000 and C$155,000 per year. Salaries are highest in Toronto, followed by Ottawa and Hamilton and lowest in Prince Edward Island where professionals earn about 25% less than those in Toronto. While information is limited on paramedics working in the flight setting, many paramedic positions are funded under the National Health Service (NHS) of UK and covered by the Agenda for Change pay rates. The www.prospects.ac.uk website outlines salary ranges. New paramedics begin at Band 5 and earn between £21,909 and £28,462 per year. Advancement to Band 6 and a salary ranging from £26,302 to £35,225 occurs for senior paramedics with additional training in critical care or trauma. For those who continue in their career and work to a consultant level at Band 8c, salaries increase to between £56,104 and £68,484. There is limited information on salaries for flight paramedics in Australia; however, paramedics earn between AU$45,000 and AU$140,000 per year. Paramedics with advanced training, including those providing treatment via emergency air service, earn the highest incomes. Salaries in the western and southern regions of Australia lag behind other areas by about 26%. Information is limited on flight paramedics; however, careers.govt.nz reports paramedics earn approximately NZ$60,000 per year. Entry level paramedics who are beginning their career earn between NZ$45,000 and NZ$58,000 per year. With experience, annual incomes increase to NZ$58,000 to NZ$75,000. There is high competition for employment, but job openings continue to increase with an aging population. While there is limited information on salaries for flight paramedics, indeed.co.in reports that the average income for paramedics is Rs219,399 per year. Salaries range from Rs96000 for those beginning their careers, and increase to Rs500,000 with experience. Information on incomes for flight paramedics in South Africa is limited, but according to www.payscale.com, paramedics earn between Rs72,000 and Rs357,388 per year. Those with training in emergency medical care, including flight paramedics, have a higher level of skill and experience, therefore, earning a higher salary range. Bonuses of more than Rs31,500 can increase income potential. Regulations vary worldwide, but most countries or states or provinces have a regulatory body that oversees testing, registration and licensure. Most countries require the equivalent of a two-year associate’s degree with specific training; however, some countries like New Zealand recommend completion of a bachelor’s degree. Ongoing training and medical education are common. In Canada, you need separate training to work as a critical care paramedic. This comes in addition to certification in trauma life support, advanced cardiac life support and aeromedical certification. Due to the differences in regulations, the individual must understand the requirements in his or her country. Flight paramedics can work for private emergency response companies, emergency services within local governments or hospitals. They work in stressful situations, often requiring life and death decision-making, and some have reported symptoms of anxiety and post-traumatic stress disorder. For this reason, while the job offers the opportunity to help others and save lives, some report low job satisfaction. Most flight paramedics work full-time, and overtime hours are often necessary. As healthcare professionals working in emergency services, working hours are subject to all hours, seven days a week, including holidays. The income of a flight paramedic can increase significantly through additional pay given for overtime and on-call hours, specialty skills and allowances provided for work required away from home. While some employers offer bonuses, they are not as common for flight paramedics as for other professional positions in healthcare. It is common to receive health medical benefits including medical, vision and dental insurance. The need for skilled professionals in the paramedics field is growing with an aging worldwide population, so it can be assumed that flight paramedics will also see a growing need. The US Bureau of Labor Statistics estimates that US demand for paramedics will increase 24% between 2014 and 2024, a much faster rate than the average growth of other professions. Professionals in New Zealand are experiencing a competitive job market, but the number of paramedic positions is increasing. Flight paramedics earn good incomes, but may experience high levels of stress due to life and death decision-making. While flight paramedics work in the healthcare field, the amount of education and training is not as great as some other healthcare professions. Future job prospects are good for those entering this field with growth expected to outpace other professions.